The Karaite Jews of America has started cultivating traditional Karaite Jewish recipes through its partner-site, The Karaite Kitchen. The photography is beautiful, the instructions are clear, and the food is delicious. A few of the images are captured below. You may see the entire assortment of recipes at The Karaite Kitchen. 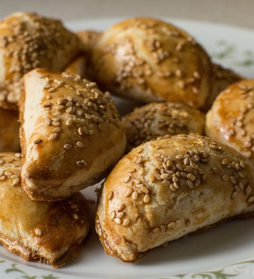 These little savory pies can be found as an appetizer in most every traditional Karaite household. The recipe for the dough has been shared from cook to cook with slight variations. Learn one recipe here. 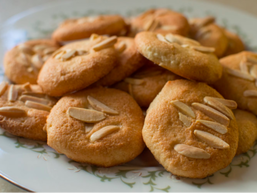 These Almond Macaroon Cookies are a Passover favorites, due to the use of almond flour as the base. But they are also a wonderful treat year-round. Learn how to make these cookies here. The traditional Egyptian Karaite Jewish understanding of the rules of the Passover is that all fermented foods are forbidden. 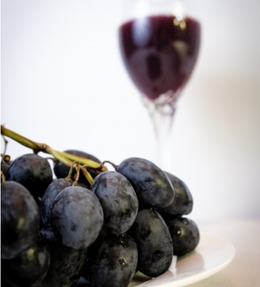 Accordingly, Egyptian Karaite Jews make delicious grape juice from scratch. Learn how here.